A list of Nancy Drew books can help you sort through this collection of mystery stories. The series was first published in 1930, and many of the titles have been reworked or rewritten in newer editions. 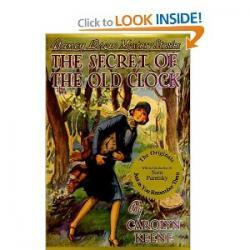 The original series begins with The Secret of the Old Clock published in 1930 and ends with The Thirteenth Pearl published in 1979. The first 34 books were later released in updated versions between the years 1959 and 1975. The newer editions had 20 chapters rather than 25 chapters in each book. The following list of Nancy Drew Books is a collection of chapter books for girls that have not been rewritten but may have updated publications. 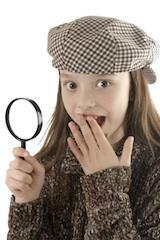 The original list of Nancy Drew books is complemented by a slew of 175 newer editions published between 1979 and 2003. The mystery stories for kids were released by three different publishers during this timespan. Volumes 57 through 78 were Wanderer hardcovers. Volumes 79 through 163 had the Minstrel imprint. Volumes 164 through 175 have the Aladdin imprint. The Nancy Drew Files series featuring the sleuth were published between 1986 and 1997. The series has a 124 titles in its collection. The newest incarnation of the mystery-solving character comes from Simon & Schuster in the Nancy Drew Girl Detective series. There are 44 titles in this series beginning with Without a Trace published in 2004 and ending with Sabotage, Surrender slated for publication in 2011. Nancy Drew has an impressive history as an intriguing collection of stories that spans generations. Though written for girls aged 9 to 12 years old, many of the books have caught the attention of older, and younger, readers.